It’s that time of the year again where we look back on what has simply been an extraordinary year for us at Elizabeth’s Cake Emporium. We are very, very grateful for the many brides and grooms and clients who chose to work with us this year. It has indeed been a privilege to serve you and create the most opulent celebration and wedding cakes for you. 2017 kicked off for us with a mahoosive bang. We were honoured to make the grandest of wedding cakes for a rather special wedding at the Landmark Hotel in London. 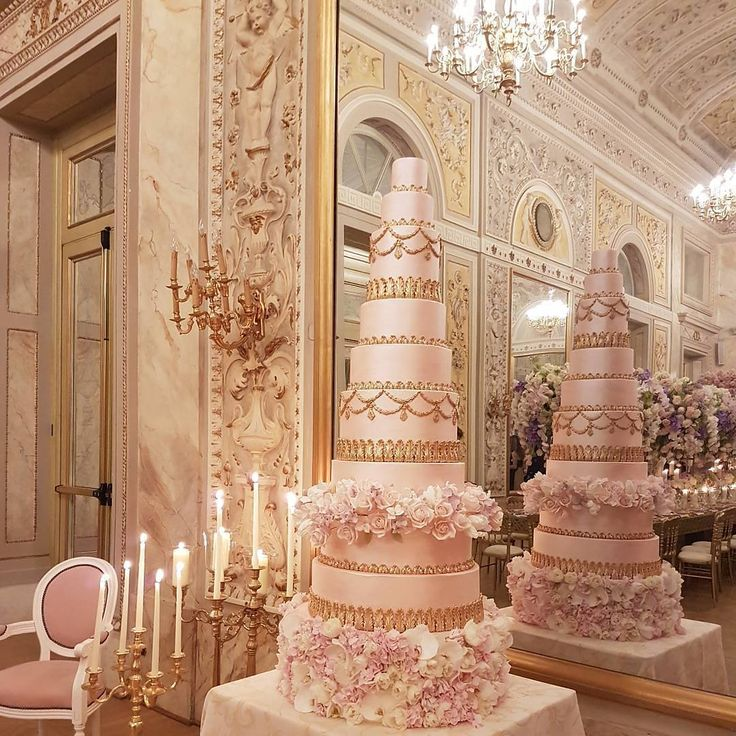 Made up of 14 tiers, it featured thousands of hand made sugar flowers, custom made sugar gold baroque swag and drop detailing and other edible gold embellishments. The wedding cake was so tall it touched the chandelier of the rather high ceilings of the ballroom. To understand the scale of the wedding, two of the wedding singers were Mariah Carey and Elton John! The wedding made headlines around the world, with many in the media calling it the wedding of the year. And this was only January! Fast forward to a few months later and we got the amazing opportunity to make another beautiful wedding cake for the most lavish and opulent wedding at the historic Blenheim Palace. In fact the press called it the wedding of the century. We are very grateful to the client for having such faith in us to deliver such beautiful edible art. 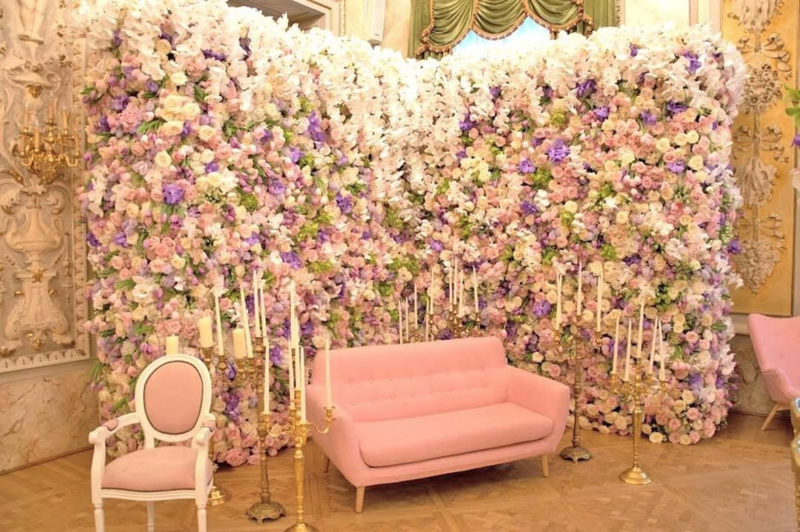 The stunning wedding flowers were by floral genius Jeff Leatham and it was reported that he used over 1million blooms to create the jaw dropping decor. The next stop for Elizabeth’s Cake Emporium in our wedding cake adventure was Spain. The venue was the exclusive and exquisite Castilla Termal one the best preserved Cistercian monasteries of the 12th century in Europe. We had the pleasure of working with an amazing bride and the most incredible event planner and team of suppliers. 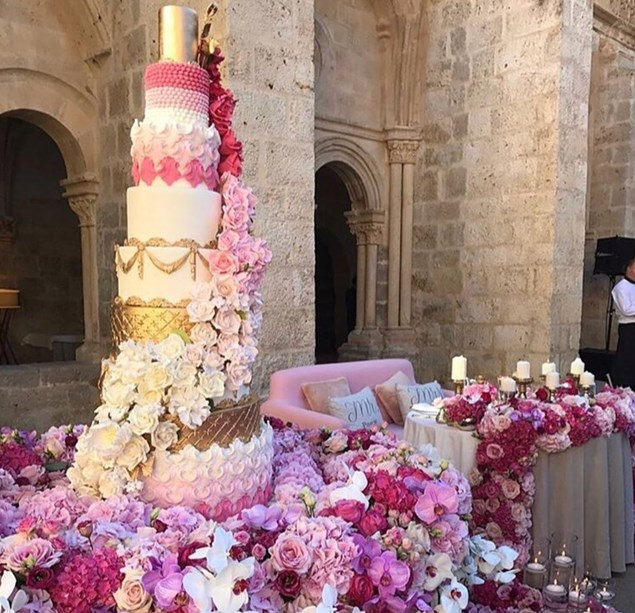 The wedding came to the notice of one of the biggest TV stars in the UK who pinned and shared the cake on her instagram page for her own upcoming wedding and created a press frenzy. As if that wasn’t enough, one of biggest rap stars in the world, the OG that is Snoop Dogg instagrammed the wedding twice on his page! Sometimes real life can indeed be stranger than fiction. Over the years in my different careers, I’ve had the opportunity to speak at many events, demonstrations and conferences. It’s a lot harder than it looks and there is a lot of pressure to ensure that the content is engaging, meaningful and relevant to the target audience. I was so honoured to speak alongside world renowned experts like Preston Bailey and Marcy Blum at this year’s Atinuda which was intimidating enough. It was also very humbling to be the only speaker to get a standing ovation from the attendees. I also had a pinch myself moment when the maestro that is Preston kindly gave me the very best advice I’ve had in years. I will indeed be taking his advice and hopefully spreading my wings a little, so watch this space. Elizabeth’s Cake Emporium had the privilege of being approached by Karen Tran to collaborate with her on one of her master classes and create one of our signature luxury wedding cakes. The event was held at the St Regis in Florence. It was fantastic to watch Karen at work (I honestly don’t know where she gets her energy from) as she created another memorable floral spectacle. My team and I created a 9 tier pink shimmer baroque cake which was the focal point of the gala dinner. In fact, once again the image of the cake went viral! A huge thanks to all the masterclass attendees and everyone who supported us including my lovely Raffaele and the staff at the St Regis. Collaborative shoots give us a creative outlet and more importantly it gives us an opportunity to meet with and network with other suppliers in the luxury events industry. I decided to stop giving away my ideas, concepts and story boards and instead take creative control by organising inclusive shoots where everyone shines and get properly credited for their hard work. This resulted in three amazing styled shoots that proved to be unbelievably popular. They include Tulip Fever, Lady of the Lake and Glimmer and Shine – a Unicorn inspired shoot. I am truly grateful to all the suppliers who trusted in the vision and went above and beyond to create magic with me. It was the best learning, has given me a new found confidence, enabled me to hone my skills and discover ones I didn’t know I had. In all our cakes were published and shared by international and national print and online press including Wedluxe, Strictly Weddings, Condenast Brides, You and Your Wedding, Wedding Chicks, Cosmopolitan, and the Daily Mail over 200 times. 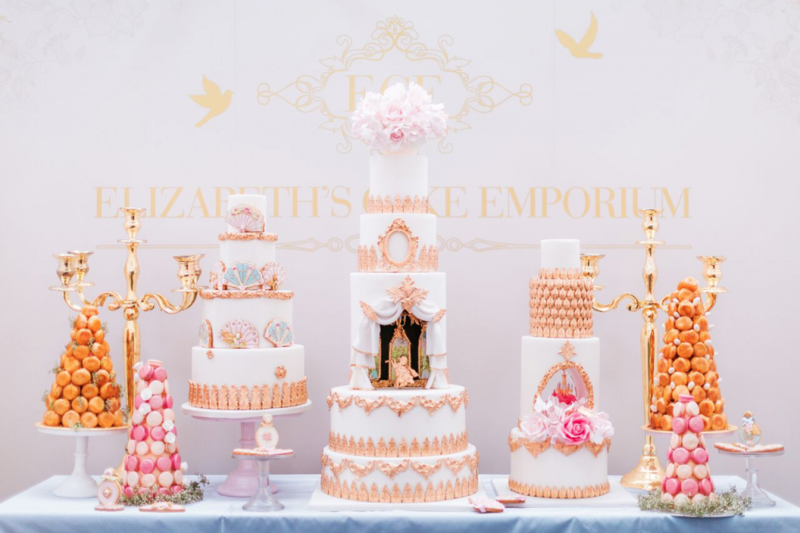 Elizabeth’s Cake Emporium had the honour of being approached to exhibit at Brides the Show by Condenast Brides magazine at the Business Design Centre in October. Not only that, we also created a huge range of Marie Antoinette inspired cakes for the charity Make a Wish Foundation. The incredible prizes to be won included a trip to Dubai, stays in 5 Star hotels, a diamond necklace and a designer wedding dress. It was lovely seeing the generosity exhibited by brides to be and the stand was one of the most popular at the show. We also had the honour of showcasing our cakes at Corrigans, Mayfair and Caroline Charles, Knightsbridge. When Eat, Love Savor included Elizabeth’s Cake Emporium on their annual list of the Masterful 100 awards, it came as a bit of shock! With brands like Rolls Royce, Krug, Lalique, Cartier, Harry Winston and Meissen on the list, we felt very honoured and grateful to be the only cake maker included. I have no idea how they found us but I am very glad they did! We also won Cake Designer of the Year at the English Wedding Awards which again was conferred. We would like to thank both teams for the wonderful recognition and we will continue to work very hard to earn and deserve such honour. Our work took us to 4 continents and over 20 cities including Paris (thrice), Prague, Budapest, Morocco, Italy, France and the Middle East. Some of the projects we worked were quite confidential (all will be revealed in time) and others included teaching and demoing as part of my role as brand ambassador for Massa Ticino, the best sugarpaste in the world! I also attended a conference or two, most notably the Inner Circle Experience which I shall be blogging about later. The year rounded up nicely with a judging role at The Italian Wedding Awards held in Florence. We were given a lovely welcome by The Four Seasons Firenze and the organisers and the cuisine was to die for. All the entrants were of a very high standard and I had the distinct pleasure of sampling all the edible treats as part of my duties! Well someone has to do it and it might as well be me. A huge bravo and complimenti to all the winners and finalists. I think we’ve earned a well deserved break and we will be back to regale you with more tales soon!